Ji, L, Oort, F, & Yau, S.-T (Eds.). (2016). 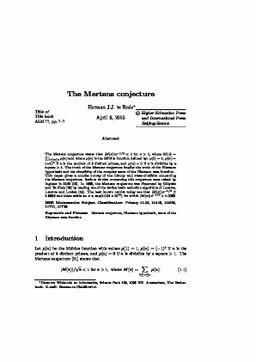 The Mertens Conjecture. In L Ji, F Oort, & S.-T Yau (Eds. ), The Legacy of Bernhard Riemann After One Hundred and Fifty Years. Higher Education Press / International Press.